I always love dipping into the latest edition of Vegan Life Magazine and this month was no exception. For instance, I learnt on the Vegan News page that Costa (one of the biggest UK coffee chains) now stock a vegan fruit crumble bar! Until now I've found Costa to have very little to offer vegans in terms of food, so this was a welcome discovery (especially as I like their coffee and vegan-friendly soy chai lattes). I was also really taken with the idea of sweet potato roulade, or cannelloni. The recipe below advises cutting the skin and ends off a raw sweet potato so it is roughly block-shaped, and then slicing thinly using a mandolin or very sharp knife. You then cook the slices briefly in boiling water, as you would pasta, before filling with tofu 'ricotta' or another filling of choice. 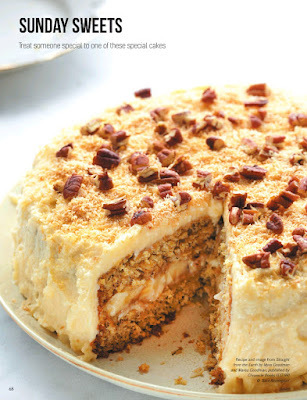 Equally appealing, if a different sort of recipe, was a banana-coconut cake that sandwiched coconut cream between two layers of banana cake. It would take banana bread to a completely different level. 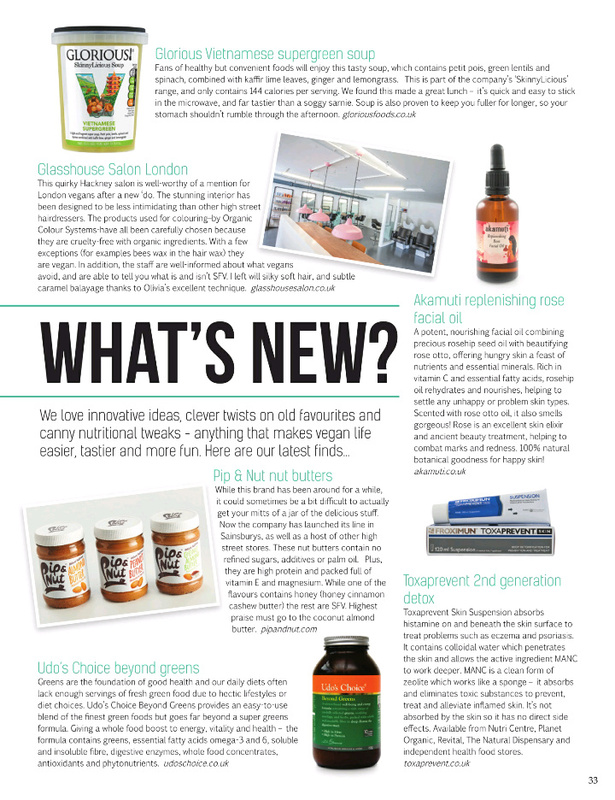 In the new products section, I was interested to read about the Pip & Nut nut butter range - as I had spotted the jars that very morning in Sainsbury's. Apparently the supermarket has just started stocking them. The range uses only whole ingredients (no refined sugar, palm oil or other additives) and comes in intriguing flavours like coconut almond. I didn't buy a jar when I saw them as they are a little pricey (£4.95), but I'll look out for an opportunity to buy them on special. 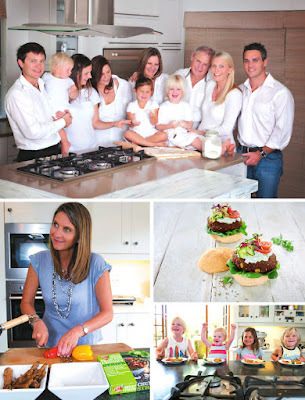 I was also really interested to read a feature on the Fry family - the makers of Fry's vegan products which I think many a vegan (and non-vegan) know and love. Certainly Fry's schnitzels are generally to be found in our freezer. I knew the company started in South Africa but hadn't realised the original founder, Wally Fry, began creating vegan products after he was commissioned to build a pig plant. He ended up being so horrified by what he'd help create that he turned vegetarian as a result. Wally started making meat-like but fully veggie products in his home kitchen but over time, demand from the family's social circle led to an initial appointment with a supermarket rep. The company has since gone from strength to strength but has remained family-run and continually works to assist vegan-friendly charities and causes. 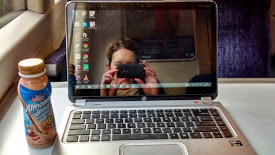 It was an inspiring story and makes supporting the brand even more appealing. 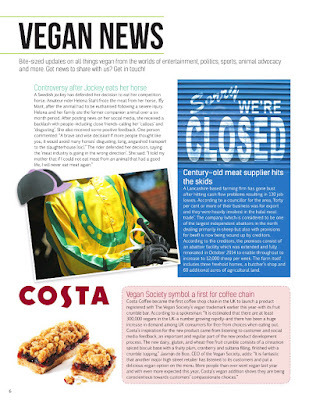 So there we have it - another month of vegan news, trivia and inspiring recipe ideas. What are you enjoying reading at the moment? 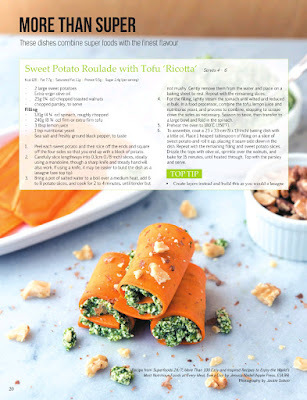 Yum, I like the look of the sweet potato roulade. That interview with the Fry family sounds really interesting. And is that a vegan quiche on the cover. I bought an issue of this magazine last month and really enjoyed reading it on holiday - probably wouldn't buy it every month but it is a nice treat to buy when I have time for lots of reading. 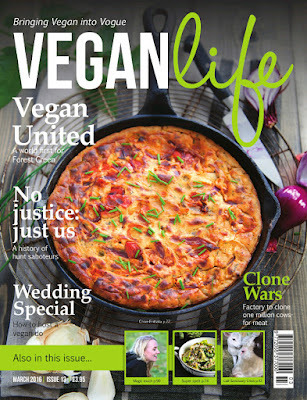 It is indeed a vegan quiche on the cover. I'm glad you enjoyed reading the magazine last month. That looks like a super epic version of banana bread. I am craving cake now!